Michigan United Conservation Clubs signed a letter asking Congress for specific appropriations to combat the threat of Asian carp. 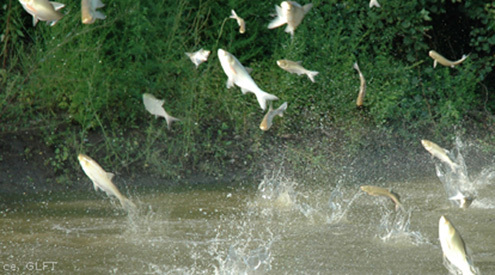 Having this funding will help to make the battle against Asian carp a targeted, national effort, rather than a state and local effort. These appropriations will help the Great Lakes as well as the Ohio, Mississippi, Tennessee and Cumberland River Basins. plan throughout the Mississippi River basin. MUCC joined several other conservation organizations in signing the letter including National Wildlife Federation, Indiana Wildlife Federation, Kentucky Waterways Alliance, Minnesota Conservation Federation, Iowa Wildlife Federation, Mississippi Wildlife Federation, Tennessee Wildlife Federation, Ohio Conservation Federation, Wisconsin Wildlife Federation, West Virginia Rivers Coalition and Prairie Rivers Network.